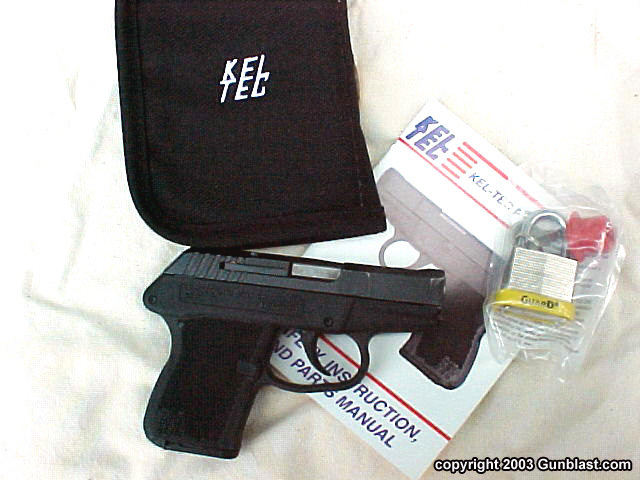 About three years ago, I wrote an article reviewing the then-new Kel-Tec P32 auto pistol. I had been carrying the little jewel for a few months at that time, and was thoroughly impressed with the pistol. I had bought the first one that I had ever seen, and had been carrying it daily. I still believe it to be the best little .32 auto available for pocket carry. The little P32 has developed a cult-like following, and many of those who carry one daily would not even consider another pocket pistol….until now. Kel-Tec CNC of Cocoa, Florida has just significantly upped the ante in the small-and-light pistol market by introducing virtually the same little P32 chambered for the larger .380 Auto cartridge. The new gun is called the P3AT, and is almost the same size and weight as the original P32. 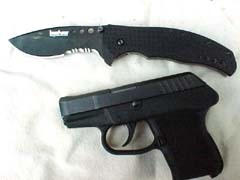 The .380 is minutely larger and just over a half ounce heavier than the .32 pistol. 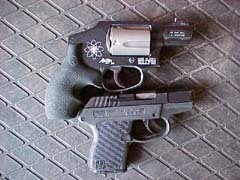 Even with both pistols laying side-by-side, it is hard to tell that the .380 is barely larger. 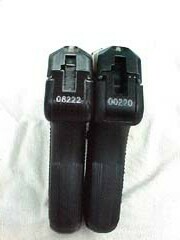 I took measurements of the two pistols, with the specifications listed below. Weight 8.3 oz. 6.6 oz. In my bare hand, I am unable to tell which pistol is which. They are, for all practical purposes, the same size. Kel-Tec has done that which almost everyone else said could not be done: they have built a .380 auto pistol that is smaller and lighter than most .22 and .25 caliber pistols! The P3AT achieves this feat through the use of modern design engineering, equipment, and materials. 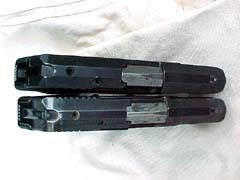 While most pocket pistol builders use the straight blowback design, the Kel-Tec uses a locked breech system, like modern large-caliber pistols. 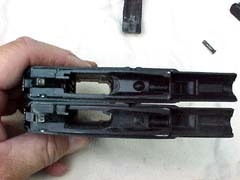 By using a locked breech, the P3AT does not need a heavy slide to retard the blowback of the action. 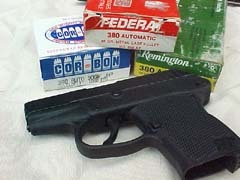 This results in the lightest .380 auto ever built. Like the P32, the new .380 fires with a smooth double-action pull of the trigger. The pull weight measured right at six pounds on the little .380. 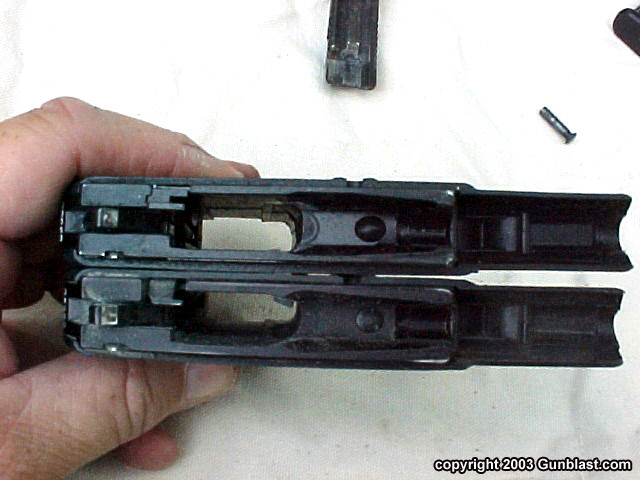 The P3AT does not lock the slide open after the last shot as does the P32. Big deal. This is a fair trade-off to achieve the small size of the weapon and still chamber the .380 cartridge. The P3AT, like its little sister P32, slips easily into a front pants pocket where it will ride unnoticed all day, every day. It is small enough and light enough that it can always be at hand if a weapon is needed. While a larger handgun might be left in the vehicle or at home, the little Kel-Tec is always there within easy reach. 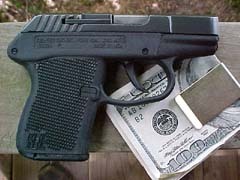 It weighs less than many popular pocket knives, yet carries a payload of seven .380 cartridges. After three years of carrying the P32, I expected the new .380 to be reliable, and I was not disappointed. 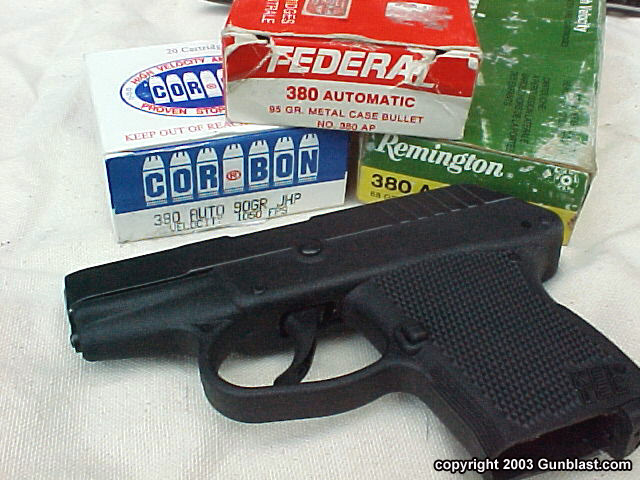 I tested the P3AT with several different varieties of ammunition, both factory and handloads. The gun fed, fired, and ejected perfectly, with no malfunctions of any kind. Loads were chronographed at a distance of ten feet from the muzzle. 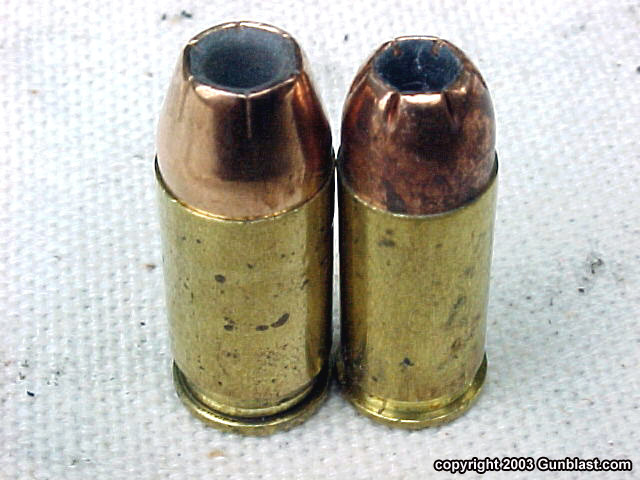 My load of choice would be the Cor-Bon 90 grain jacketed hollow point. Even from the Kel-Tec’s short barrel, the Cor-Bon load clocked an average of 916 feet-per-second, and shot to point of aim at fifteen yards. 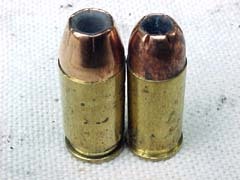 This .380 load is almost the same speed as the Cor-Bon .32 ACP load out of the P32, but with a bullet that is fifty percent heavier and significantly larger in diameter than the .32. 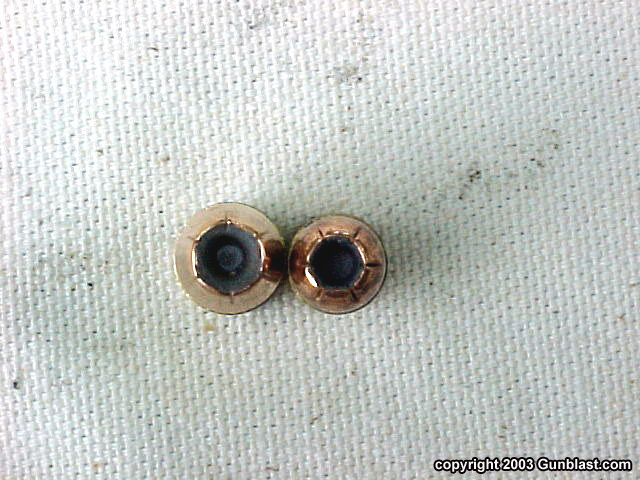 The recoil of the .380 is, while noticeably more than the .32, quite controllable and not painful at all. Rapidly firing the .380 until empty, it is easy to keep all shots centered on a standard silhouette target at fifteen yards. With most states passing right-to-carry laws, more and more people are buying small, easily concealable handguns. 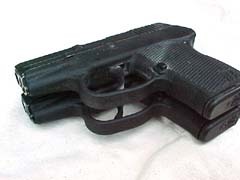 Many people, however, start out with a gun that is too large or too heavy to carry all of the time, and end up with the handgun that is not always within reach. Remember, the first rule of a gunfight is…. Have a gun. If you can’t reach yours, it is useless to you. 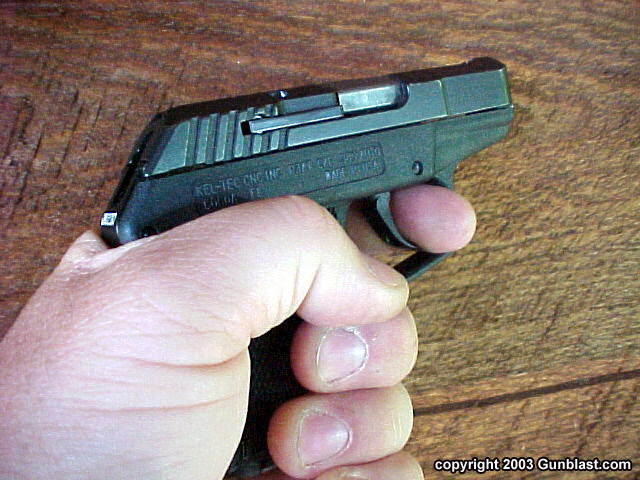 Is a small pocket pistol the ideal weapon for a gunfight? Certainly not. A twelve gauge shotgun would most likely be much better. However, most of us do not carry a shotgun as we go about our daily lives. 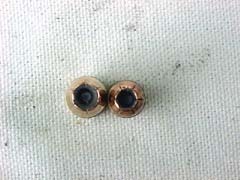 Even a large-bore handgun is usually not within easy reach for most people on a constant basis. A defensive handgun is for the time when you least expect to need a gun. When that time comes, you had better be able to put your hand on your weapon. The Kel-Tec is a gun that can always be there. 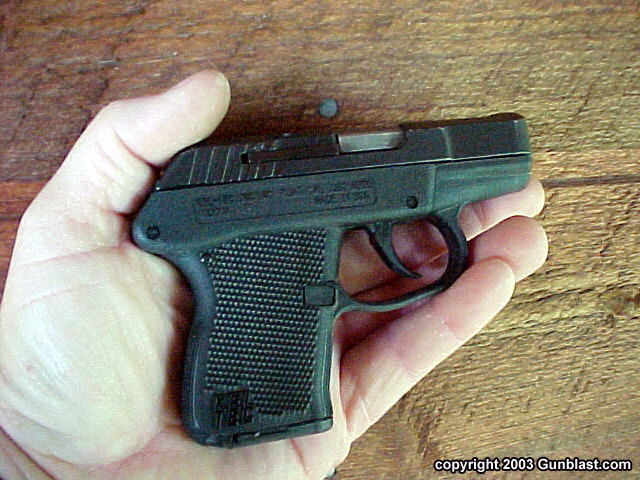 It is almost as easy to carry as no gun at all, yet delivers seven rounds of hollow point power if needed. It is a gun that can provide a little comfort in a situation where you do not feel the safest. Walking across a dark parking lot, just knowing that the .380 is in your pocket is much better than knowing your .45 is back in the car. After reading this, if you surmise that I am impressed with the Kel-Tec .380, you are correct. It is, in my opinion, the best defensive pocket auto made anywhere, at any price. Every handgun is a compromise, but the little P3AT has the right combination of power, weight, and concealability. List price on the blued version is just $305. That is just five bucks more than the P32, and a bargain in today’s market. The Kel-Tec P3AT is a defensive weapon that will be there when needed. The P3AT comes with a gun lock, manual and soft zippered case. Kel-Tec's P3AT is shown here underneath Kel-Tec's P32 .32 Auto. 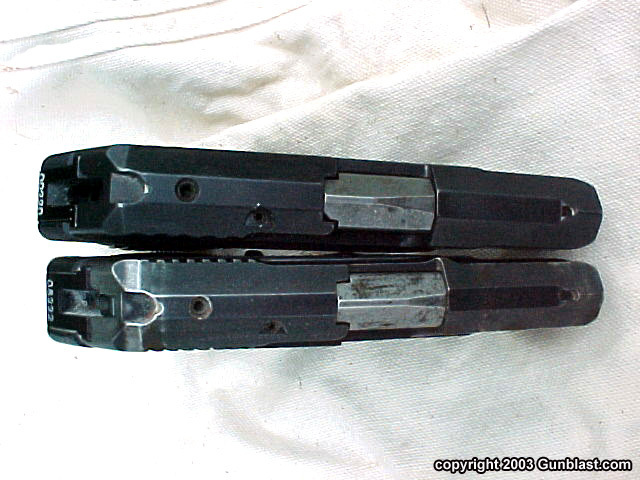 P-32 shown at left, P3AT at right. P3AT shown at top, author's well-worn P-32 at bottom. 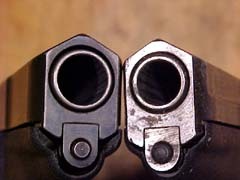 P3AT frame at top, P-32 at bottom. While the P3AT in .380 ACP is imperceptibly larger than the P-32 .32 version, it significantly raises the stopping power ante. 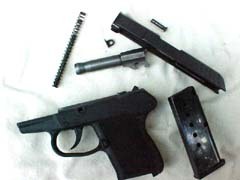 Kel-Tec's P3AT .380, like its P-32 cousin, easily strips to its component parts in seconds without tools. The P3AT is both smaller and lighter than many commonly-seen pocket knives. Even a small-frame revolver such as Jeff's beloved Smith & Wesson Model 342PD seems huge compared to Kel-Tec's P3AT. The P3AT shot very well for its intended purpose with a wide variety of factory ammunition and handloads. There were no failures or malfunctions of any kind during the author's extended tests. The Kel-Tec P3AT's combination of small size, light weight, greatly increased stopping power, and reasonable price make it, in the author's opinion, the best defensive pocket auto made anywhere, at any price.